I participate in the Walk to End Alzheimer’s® to honor my dad, Joseph F. Moran, who died on December 28, 2005, from Alzheimer’s. My dad was a devout Catholic man who instilled in his 6 children, along with our Mom (Nancy), the meaning of faith, grace, honesty, and doing the right thing in our lives. I walk to honor this peaceful, hardworking man who loved his family through good times and bad. He was so devoted to our Mom and to each of his children in his own special way. He had a great sense of humor and was quick witted. His laugh was simple and his ethics paved the way we each live our lives today. 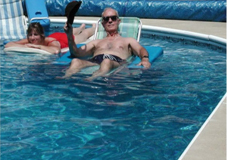 Our dad always wanted “peace and quiet” and lived a tranquil life. He did not deserve this disease. I walk to honor this veteran of the United States Air Force, who served in both the Vietnam and Korean wars. He retired as a Lieutenant Colonel and went on to further his career in computer management. He loved his country and his duty to make a safe world. Our dad was such a down to earth person and everyone he worked with grew to love his humor and gentle manner. I walk to honor our dad who was an avid reader, loved crossword puzzles, ran, ate healthy, ensured his family was safe and warm. He was an intelligent man and intellectual. 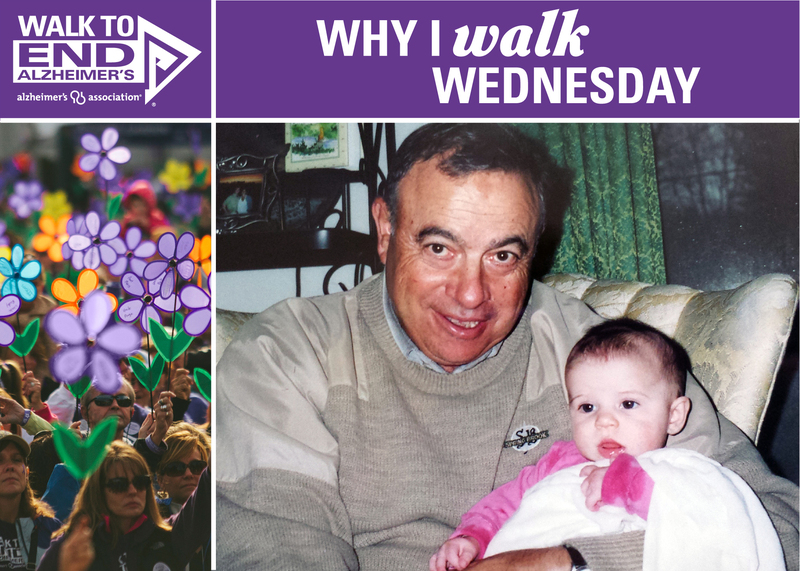 I walk because I don’t understand why this disease attacked him or our family. I walk so Alzheimer’s research can continue to be acknowledged as a tragic disease and want this reality to be shared that this disease is slow decline to anonymity for families and all loved ones. 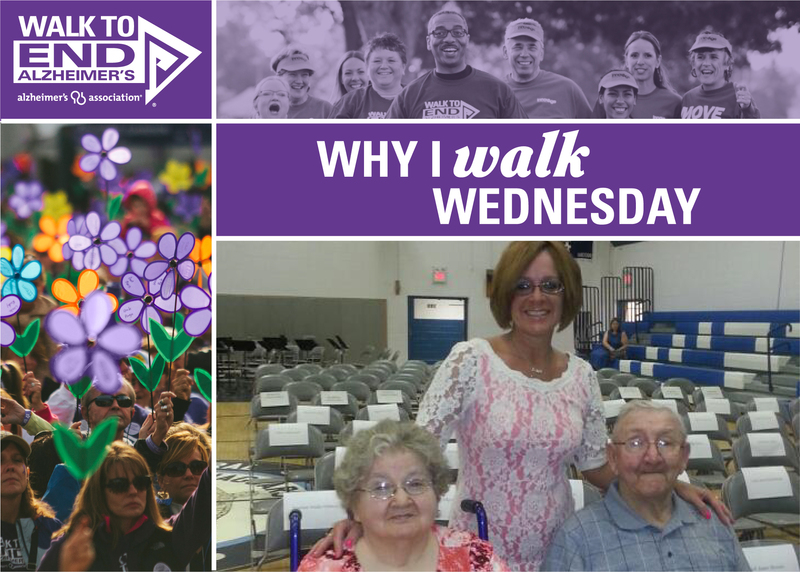 I walk for the caregivers who feel helpful and helpless at the same time. I walk for more research development and awareness. I walk for and with the MORAN CLAN, the ones who loved this great man and who miss him dearly every day. His birthday is this week, April 23rd and, if not for this horrible disease, I know he would be alive today and continue to be proud of his wife, children, and our continued faith. There is much said about the increasing cost of the care for Alzheimer’s victims. In fact, current predictions bankrupt the country by 2050 unless some cure, some solution is found. That alone should motivate all to help to find a cure for Alzheimer’s. 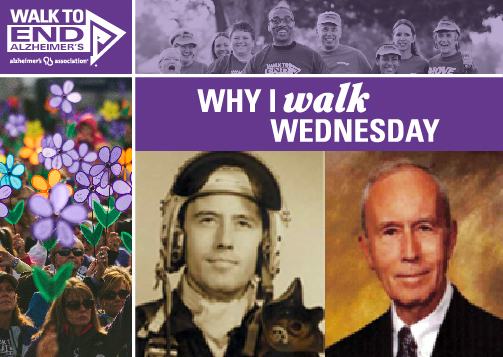 But, it alone, is not why I walk….I walk because I lived through the pain of losing a husband to Alzheimer’s. For 11 years, I cared for him as he lost his memory, his personality, and who He was….I walk because no one should lose their life not remembering their spouse, or their children, or their career. And no loved one should have to grieve each day….day after day, year after year…as they lose the one they love. Alzheimer’s WILL bankrupt the country; but not before it emotionally, physically and financially bankrupts countless families. I started Walking for Alzheimer’s in 2007 when it was deeply personal; a way to express my grief and to find the support from family and friends who had no words for our pain. Now I walk because as a Riverside nurse and a James City County resident, I have watched person after person, family after family, neighbor after neighbor endure the same pain and loss. NOW is the time to fight for a cure; NOW is the time to support our friends and family. Now is the time to sign up to Walk To End Alzheimer’s. I walk because of my momma and daddy. My daddy had very early stages of dementia, but did not die from it. Instead, his heart and lungs gave out after heart surgery, and he passed September 15, 2013. Momma had stage 5 Alzheimer’s and passed August 10, 2014, on her and daddy’s 54th wedding anniversary. It was the highest of honors that can’t be put into words having them here living in Virginia with me and caring for them. I brought them to Virginia in August of 2013. Twelve days later, daddy had two heart attacks and was never able to come off a ventilator. Momma was here with me until December 2014, when an unfortunate medication reaction put her into the hospital. She was there two weeks, then had to go to physical therapy at Golden Living where I decided to keep her long care – she was safer there due to wandering. I went there every single day to still help continue to care for her. As months went on, her progress went down, she lost weight, and she was unable to speak, eat or know us anymore. She aspirated and developed pneumonia and hospice started, three days later she passed….They are why I Walk and do all I can to help fund research for a cure. I have always loved the song “Faith of our Fathers.” I have fond memories of my father singing this in his rich baritone voice and my mother playing it on the piano. “Faith of our fathers, holy faith, We will be true to Thee till death.” Children often learn about faith from their mothers. My mother taught her eight children many prayers, she read stories from the Bible and taught us how to behave in church. People often commented on how well behaved my siblings were in church, being so young. There were never any threats, we knew we should be reverent in the house of God. We had many books of saints and our grandmother gave us a subscription to a religious magazine for children. Through her example and her daily prayers for her children, we were blessed as a family. Her children never questioned, “Do I have to go to church?” My father’s role was breadwinner; often he was tired or in pain. My mom had never learned to drive and was not shy about seeking transportation for us for Sunday services. When my father passed away at the age of 61 from COPD, I became her designated driver to church on Sundays. Since my husband was a choir director at a different church (same religion), she willingly went to my church. For several years, she had friends who needed a ride to church. This was never a problem because mom asked and I knew how much it meant to her and her friends to be able to go. One day I saw my mother mailing money to the church she had gone to when my father was alive. She had not been there in fifteen years. When asked about this she replied: “That’s my church, which is where my funeral has to be.” She had no concept that she could become a member of the church she had attended for fifteen years. She loved the clergy at our church. The pastor had changed several times at the other church and many of those friends had died or moved away. This was the first indicator for me that she was making poor judgment. She had been sending money to a church weekly that she had not attended in fifteen years. Gradually, there were more indicators. Mom never offered money for gas during the many years I drove her to church. One day she stated she was going to give a little something extra for picking up her medication. The medicine was $40.00; she wrote the check for $400.00. I could not get her to understand this was wrong. A week later, she realized that she had written the check for too much. Not long after that Mom said she was bored, nothing she wanted to see on TV. I thought about how much mom loved to go to Mass every opportunity she could. We added a religious channel, now she could watch mass twice daily and hear various prayers throughout the day. Her children soon learned not to call when these shows were on. Mom no longer remembers she has a daughter in heaven; nor does she want to go to the cemetery. Fifty percent of the time she will get her children’s names right. She cannot remember her grandchildren’s names, or who their parents are. The one thing that has not left her is her spirituality. She loves being in church, she smiles at people she recognizes, somewhat. Little children come to hug her and shake her hand during the service. Most importantly, she loves to receive communion. She has such an awesome loving, reverent look. For many years, Mom would be outside waiting for me to pick her up for church. It has become increasingly difficult to get her cleaned, dressed, get her into the SUV and to church on time on Sundays. Several siblings tell me just let her watch the Mass on TV. This is the highlight of her week, as it has been her entire life. The faith of my mother, my aunts and relatives that have died of Alzheimer’s still lived on even when they could no longer speak. This will be the hardest thing for me when she can no longer go to church with me. I will forever miss my mother’s amazing faith and love.